The 2nd edition of the Africa Magic Viewers’ Choice Awards will take center stage in Lagos. The 2014 edition of awards ceremony will take place on Saturday 8th March 2014. 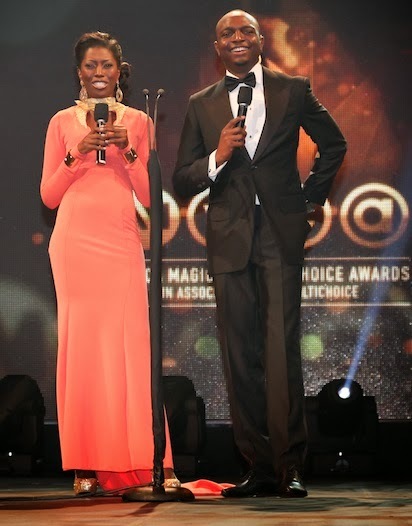 And it will be co-hosted by IK Osakioduwa, Osas Ighodaro and Vimbai Mutinhiri. Biola Alabi, Managing Director of Special Projects for M-Net Africa has also revealed that TV personality Denrele Edun will host the red carpet. He will chat with some of the biggest stars at the event. The awards show will be screened live on DStv and GOtv to over 50 countries.